In latest celebrity news, George Clooney reveals just how much his wife, Amal Clooney, means to him. 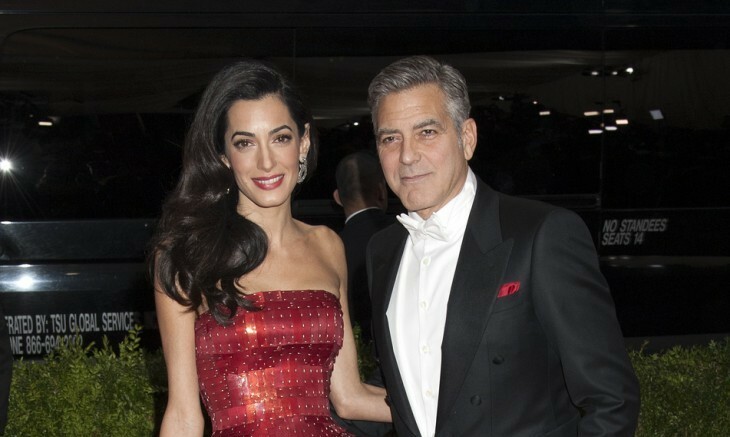 According to UsMagazine.com, Clooney stated on Thursday, “I met someone who her life meant more to me than my life. And I’d never had that experience before.” Clooney also mentioned in a 2013 interview after he met Amal, “I thought she was beautiful and I thought she was funny and obviously smart.” Clearly it was love at first sight! After their celebrity wedding in Venice, Italy in 2014, things have been spectacular. The celebrity couple greeted their twins Alexander and Ella this past summer and seem to be doing great. This celebrity couple is no doubt going strong. What are some ways to make your partner feel valued? 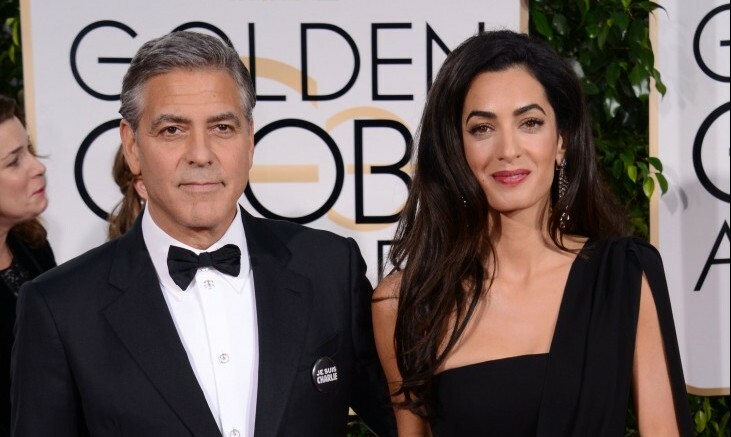 In latest celebrity news, it looks like Amal Clooney will have to hold off on some of her human rights cases due to her pregnancy that was announced earlier this year. 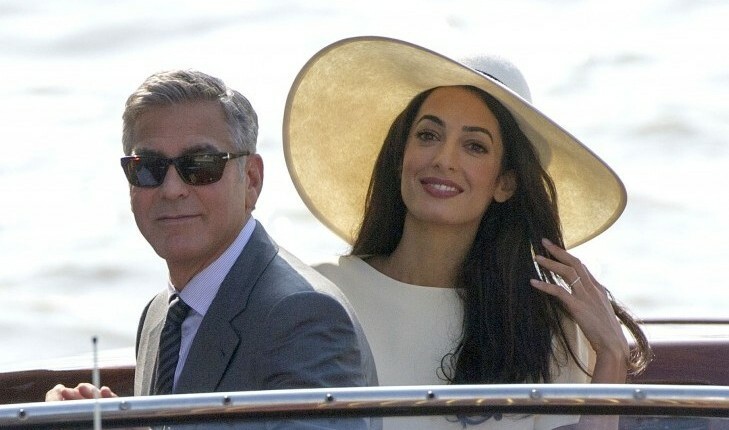 In a recent celebrity interview with Paris Match magazine, George Clooney, 55, admitted that he and Amal have “decided to be much more responsible” in regards to traveling. The actor also added that “Amal will no longer go to Iraq and she’ll avoid places where she knows she isn’t welcome,” as she recently took on ISIS for a human trafficking survivor, Nadia Murad. According to UsMagazine.com, the celebrity couple still has multiple safe options to raise their celebrity babies as they have houses in Italy, America, and England. 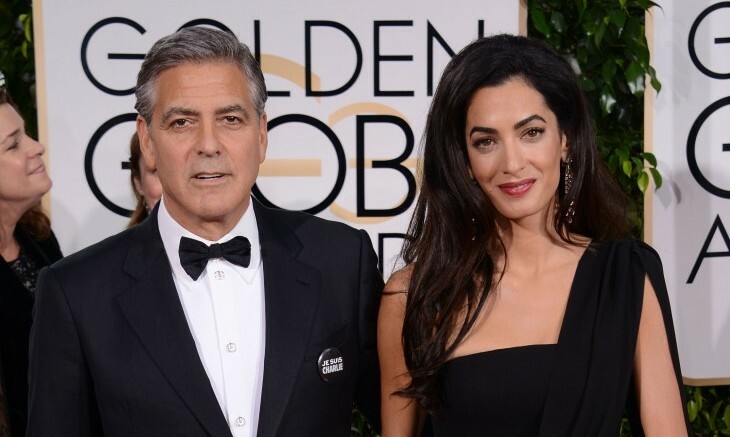 George also went on to explain his devotion to Amal as he said, “People think that we are never together, but we haven’t been separated for more than a week.” The couple will welcome their twins sometime this coming June. This couple is taking no risky chances with their soon-to-be celebrity babies! What are some precautions to take when you’re pregnant? In latest celebrity news, it looks like 2017 is going to be the year of twins! According to HarpersBazaar.com, George and Amal Clooney’s celebrity pregnancy was announced by The Talk‘s host Julie Chen on February 9th after confirming with the celebrity couple in late January that they are, in fact, pregnant with twins. There was speculation that the human rights lawyer, 39, may have been pregnant in early January as she was seen sporting a baggy sweatshirt with what seemed like a little baby bump underneath. Little did we know that the speculated celebrity baby would turn out to be not one, but two bundles of joy! Actor George Clooney and wife and Amal Clooney wed in September 2014 and will be expecting their first children together sometime this June. These celebrity babies are bound to be the talk of Hollywood. What are some ways to prepare for twins versus an individual child? Millie just became the most talked about shelter dog in Hollywood as she was taken into the home of famous couple George and Amal Clooney. According to UsMagazine.com, Millie is a 4-year-old Basset Hound mix that was homeless before luckily being adopted by the Clooney’s. The celebrity couple brought their cocker spaniel Louie to meet the new addition to the family and they reportedly hit it off! Rumors are stirring that this could be the first step towards preparing for a celebrity baby. We can’t help but get excited for a possible George Clooney Jr.! This celebrity couple is on cuteness overload! What are some ways adopting a pet can help strengthen your relationship? …Want to read more celebrity news? Click here! Sometimes when you’re in a relationship, including marriage, there are debbie downers that try to tell you your relationship and love life won’t last. 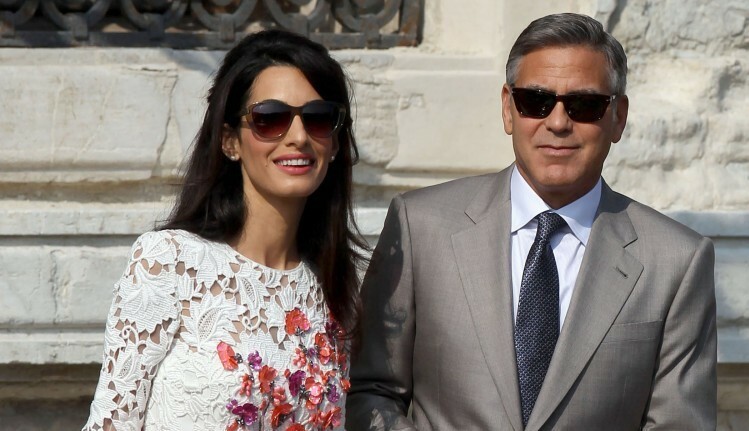 This is even true for famous couple George Clooney and Amal Alamuddin’s celebrity marriage! People.com shares that Clooney gave Stephen Colbert the scoop on the Late Show, jokingly stating, “They said it wouldn’t last.” Colbert then told Clooney that he he had no doubts about Clooney’s celebrity marriage; that Clooney and his wife will go the distance. This celebrity marriage is solid so far! What are some ways to keep the spark alive in your marriage? …Click here to find out how to keep that spark! Lake Como has long been George Clooney’s favorite celebrity getaway spot. This summer, however, he’s shaking things up and bringing not only his famous wife Amal Clooney on the trip, but also the happy couple’s family. According to People.com, the famous couple wined and dined on their Italian vacation in the company of George’s parents, Amal’s sister Tala Alamuddin and other close friends. After feasting on a variety of local dishes, the Clooneys and guests finished off their celebrity vacation by celebrating the French Bastille Day on July 14 with colorful fireworks. This lavish celebrity getaway showcases perfectly how to include family into a relationship! 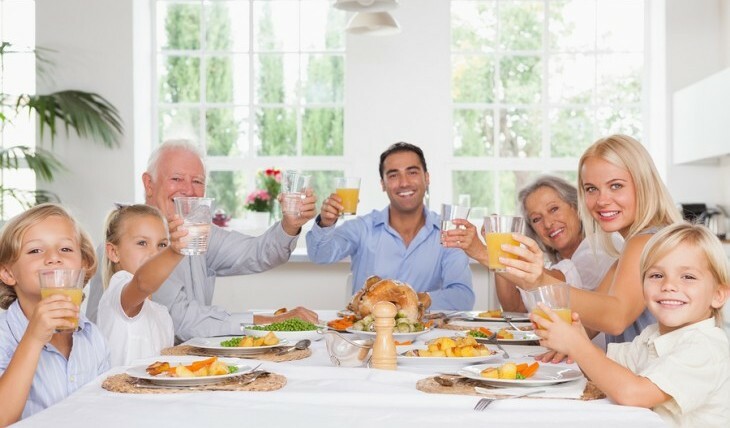 What are some pros to making your family apart of your love life? In latest celebrity news, George Clooney is going back to his roots. He and his celebrity wife Amal Alamuddin touched down in Augusta, KY for the actor’s family reunion on Wednesday, June 3, according to UsMagazine.com. 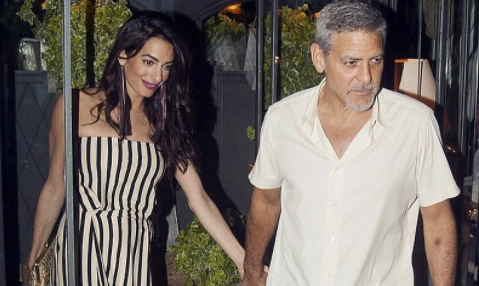 Clooney wasted no time in introducing his lady love to his favorite hometown bakery. Co-owner Russell Dickson said, “They were fun as a couple! They ordered the transparent, that’s his thing, he loves the transparent. The famous couple also devoured some pudding. Here’s to a successful hometown date! This celebrity wife got a taste of hometown love! What are some things to keep in mind when introducing your new partner to your hometown? George Clooney recently revealed a juicy piece of info about his celebrity engagement to Amal Alamuddin — namely, that it was a huge surprise to her! According to Clooney, his bride-to-be had no idea idea he’d be popping the question when he did. 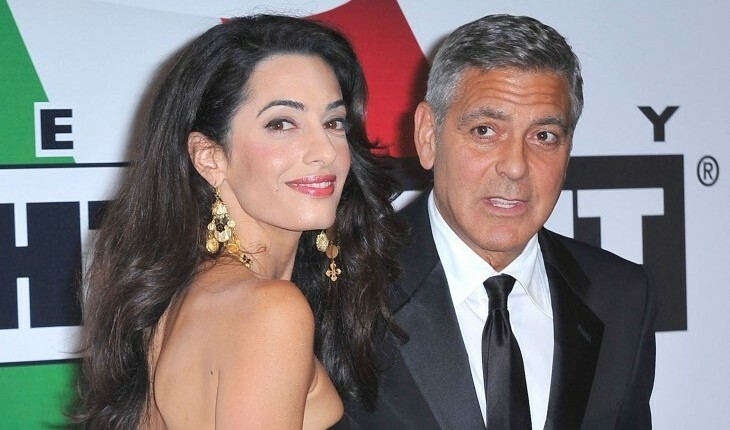 In an interview with CBS, Clooney said, “When I asked her, we had never talked about it, so it was all — there wasn’t like a, ‘Maybe we should get married.’ Literally, I dropped it on her.” Clooney said that Alamuddin needed a moment to take it all in, reported UsMagazine.com. 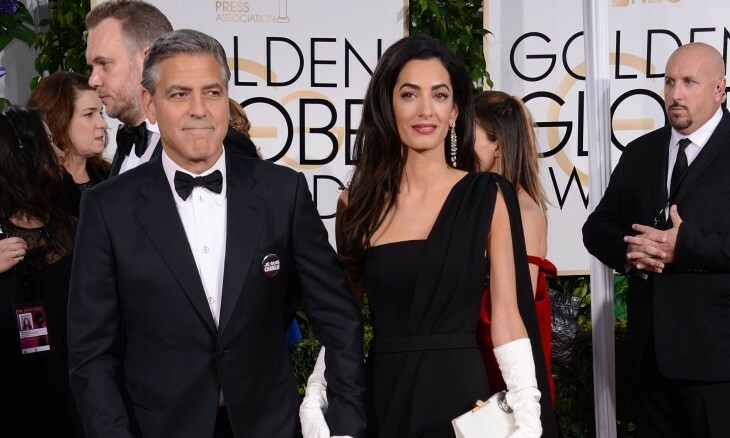 Amal Alamuddin ended up with a surprise celebrity engagement. What are three ways to romantically surprise your partner? Even this celebrity love life experiences the occasional annoyance! What are some ways to cope with your partner’s differences? In celebrity news from People.com, married celebrity couple George Clooney and Amal Alamuddin have recently been dining at some of New York City’s best restaurants and eateries. This famous couple have been eating their way through the city at high-end places such as Cipriani, Morandi, and Babbo to name just a few off their list. Famous couples eat famous food! What are some creative things you can do as a couple to explore a new city? …Want more content? Click here for the rest. Talk about true celebrity love! George Clooney is in New York City filming an upcoming film called Money Monster with his friend and costar Julia Roberts. He clearly realizes that if you work hard, you can play hard. 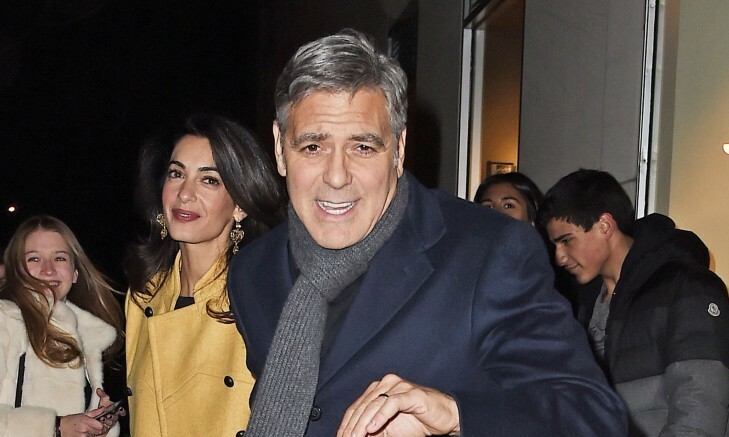 Clooney took a break from business and went on a date with his celebrity wife, Amal Alamuddin. According to UsMagazine.com, “The couple grabbed a bite to eat at the beloved French restaurant Cafe Boulud in the Upper East Side on Friday, Feb. 27. Afterward, Clooney, 53, was spotted sipping cocktails with his British lawyer love at the Carlyle hotel bar — and a certain Beatle showed up, too! Paul McCartney joined them for a while.” Talk about the perfect date! We just love this celebrity couple! 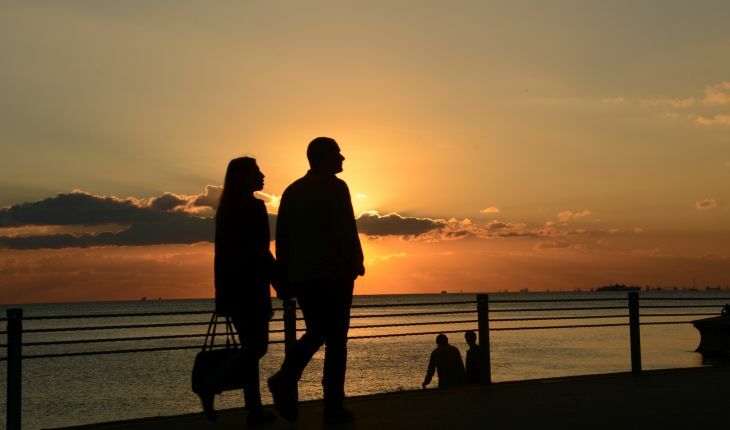 What are three ways to mix business and pleasure in your love life? The latest celebrity news and gossip has us all a little curious. According to UsMagazine.com, celebrity love birds George Clooney and Amal Alamuddin are installing a panic room in their England mansion. The famous couple spent their celebrity honeymoon in the home after tying the knot in September 2014, choosing to focus on their relationship and love life rather than a celebrity vacation. A source said that the panic room is not for Clooney’s fans, but rather for his celebrity love’s protection because of her high profile clients as a human-rights lawyer. 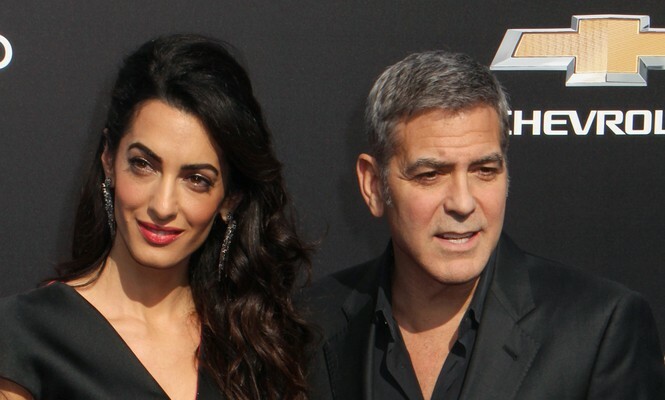 George Clooney wants to keep his celebrity love Amal safe at all costs. What are some ways to protect your loved one in everyday life? Modern dating has a set of new rules along with new gadgets and online dating apps. 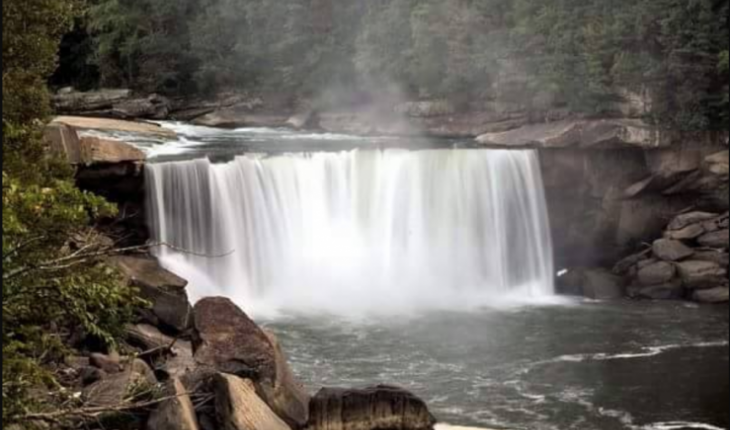 With the click of a button or the swipe of a finger, you could make a night of ice cream and Netflix into one filled with wine and gourmet food. It’s no secret that technology has changed the dating game in so many ways. As if being single wasn’t hard enough, now there’s even more to know when you’re searching for a relationship and love! Famous couples have the world at their fingertips when it comes to planning birthday celebrations. What are some ways to make your partner’s birthday special? Cupid has some advice.